Let’s just start with the basics up front: We are not beer snobs. It’s not that we don’t have preferences. We absolutely do. But we’re not immersed in the culture, and we pretty much value the opportunity to relax with a cold beer almost as much as the content of whatever is in the glass. 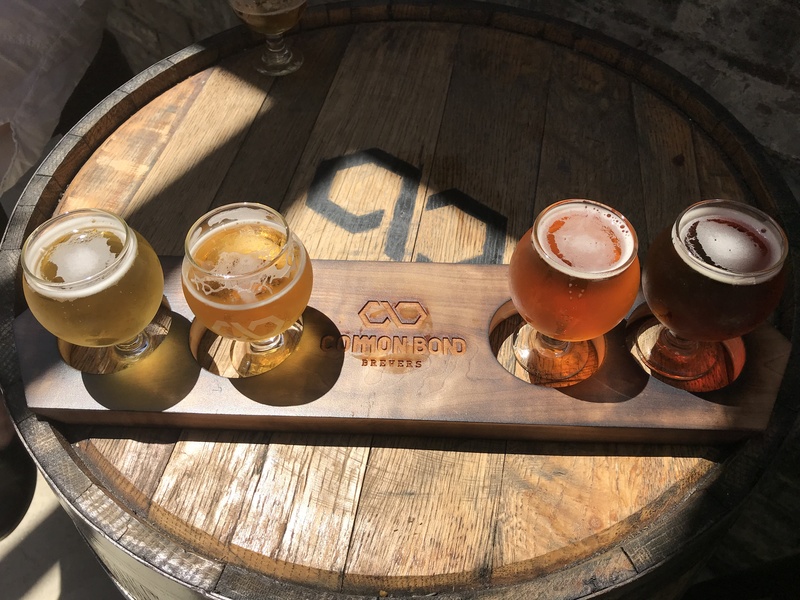 That said, we loved what they’re doing over at the new Common Bond Brewery over on Bibb Street, and after a recent visit, we’re planning on returning repeatedly to sample the beverages that they’re cooking up in their sparkling brew tanks. There are four kinds of beer in their initial offerings (“the flagship four”) and there’s not a misstep among them. The best is a rye-based amber, but each of the four has a flavorful profile and would be a welcome addition to an upcoming summer day. And let’s be clear: Although we are not professional beer connoisseurs with pedantic opinions about appropriate glassware, we are willing to offer a firm critical endorsement that the beer being served at Common Bond is the best beer being produced in Montgomery. It’s also Montgomery’s only production brewery, and deserves a place in the conversation about the Birmingham brews that have taken the region by storm. We understand if you just want to crack open a can of something like PBR and not think too much about it, but for barely-more money, you can have a much more interesting experience. 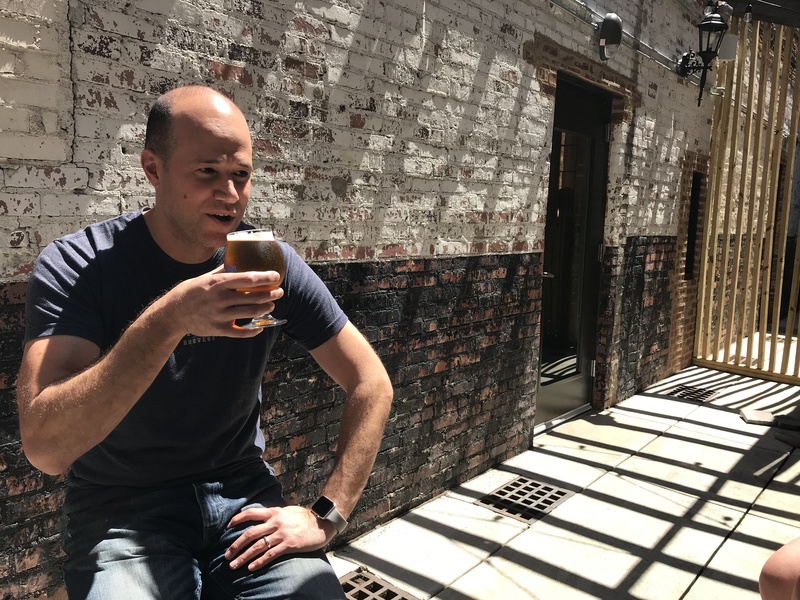 The life cycle of the carefully-crafted Common Bond beer begins with brewmaster Andrew McNally, who grew up in the shadow of the Dogfish Head Brewery. McNally describes himself as a chemist, and his ability to drill down into the details of yeast and hops is endlessly fascinating. The blonde was an American style, although McNally wants to begin to offer a Belgian style in the near future as well. There’s also an IPA and a pale ale, which (on the day we were there) can also be ordered filtered through a device called a Randall. The result is an infusion, similar to what folks have been doing with vodka lately. The ale passed through some pressurized mandarin oranges was really nice, with just the right amount of sweetness. This level of attention to detail — along with the ability to buy beer in cans and in growlers — is what separates Common Bond from a restaurant that happens to brew beer on site. A brewery is not a “brewpub,” although you can certainly enjoy a meal with your beers from Common Bond. The other thing you can’t buy at Common Bond is a full keg of their goodness. Liquor laws prohibit manufacturers from selling kegs, which doesn’t seem to make a ton of sense from a legal perspective or an economic development one. Nonetheless, if you want to drink a few beers on site, Common Bond has done a tremendous job in improving an old building and making it into a place where you’re happy to hang out. The labor paid off, and the space is industrial (it is a working brewery) but also warm. The industrial scale of the giant equipment in the brewing room is impressive, and everything is shiny and well maintained. It’s clear that McNally and his staff have a real passion for brewing beer, and we hope that Montgomery will reward that by patronizing Common Bond. For our part, we intend to return several times to sample the “flagship four,” but also await anxiously the next concoctions that will fill out Common Bond’s twelve taps. We may even buy a growler, which can be brought back in for a refill — perfect for the Cloverdale-Idlewild concert series or another gathering of friends.